For fans of YA and fantasy novels, this series might be the one for you to check out next. 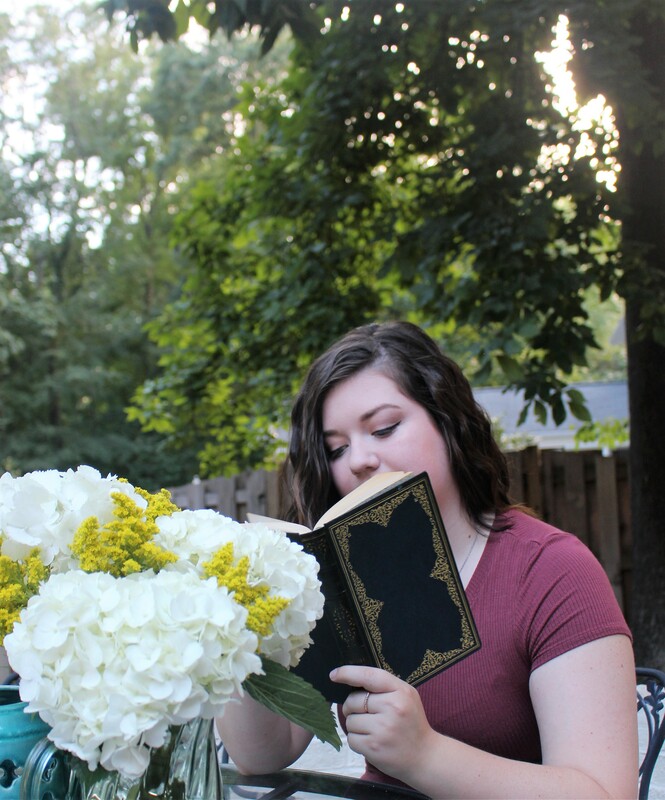 Written by Sarah J. Maas, the same mastermind behind the Throne of Glass series, A Court of Thorns and Roses is a great, fun, easy fantasy read. I flew through the first book in two days and I’m already on to the third. So, if interested in a new series to read, or looking to see what this new, popular book is about, read on. I have to start by saying I don’t read fantasy very often. I don’t have anything against the genre, I just don’t seek it out. But when I saw how popular this series was, and when I saw it was written by Sarah J. Maas, I had to read it. I first discovered Maas through her book Throne of Glass, and loved it. She has a knack for creating alternate worlds with powerful female characters ready to conquer anything. I absolutely loved the Throne of Glass series and recommend you read it if interested after A Court of Thorns and Roses. Anyway, after finding out that she has started writing a new series, I had to go pick it up. A Court of Thorns and Roses takes place in a world divided in two. On one side of an invisible wall are the humans, and on the other are faeries. Each side hates the other and their fundamental differences, the differences bound to exist between magical and nonmagical creatures, are what forced them to create the wall. When Feyre, a girl who was just trying to take care of her family, is whisked into Pyritcan and is forced to live on the other side of the wall, she finds that hatred isn’t entirely well-founded. I really admire Maas’ writing, especially in this book, because she has the incredible ability to create a new universe with enthralling creatures and characters. If you are like me, when you read faeries, you might have cringed a little. But these aren’t small, flying pixies. They aren’t Tinkerbell or even what you might traditionally expect from other stories. Maas created unique creatures, both malevolent and not, to live in this universe. The only thing that makes this originality and creativity better is that she actually creates an intricate plot around them. It’s complicated and strong, it’s interesting and vibrant. And it’s the reason I finished this book and the following in four days, and it’s the reason I started the third today. I love that Feyre is a strong character, that she not only rises to the occasion for love but for the overarching importance of saving a people. I love that all the characters, even the secondary ones have backstories and serve an important role in the book. 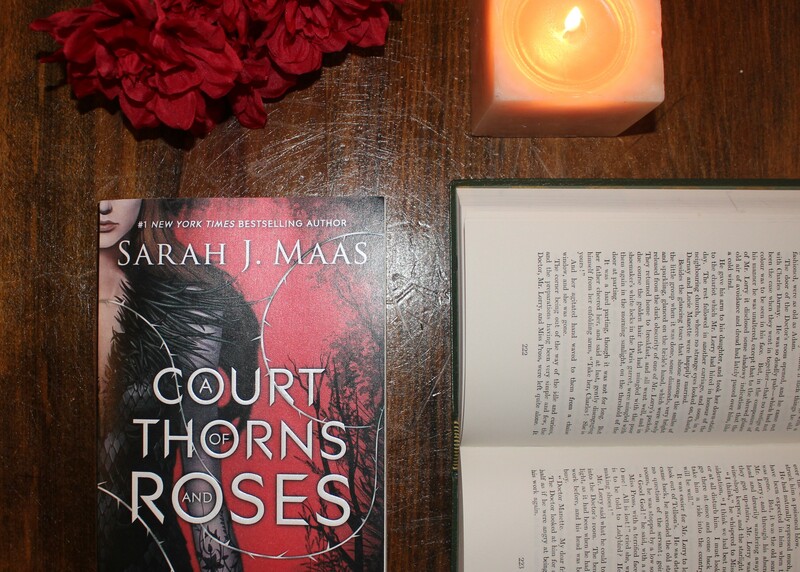 A Court of Thorns and Roses is filled with a fun romance, adventure, friendship, and originality. I really enjoyed reading this book and the ones that come after (really, so much happens in the second book, A Court of Mist and Fury!). So, if you are a fan of fantasy or YA, you are bound to love this story. If you aren’t traditionally one to read either type of book, but if this review sounded interesting, I would still suggest you read this book. If anything, it’s fun and easy to read. And who doesn’t want a good plot twist or romance in their books every now and then? I am truly a fan of Sarah J. Maas for life now.